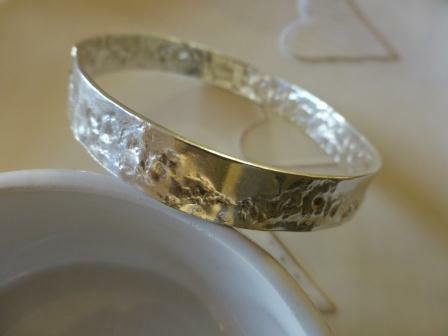 This bangle is handmade from 10mm x 1mm silver. It is then passed through a roller together with antique lace, ensuring each bangle is totally unique. The pattern from the lace is imprinted to both sides. It is then polished to a high shine or may be oxidised if preferred.